Piano is an amazing instrument which makes wonderful music. 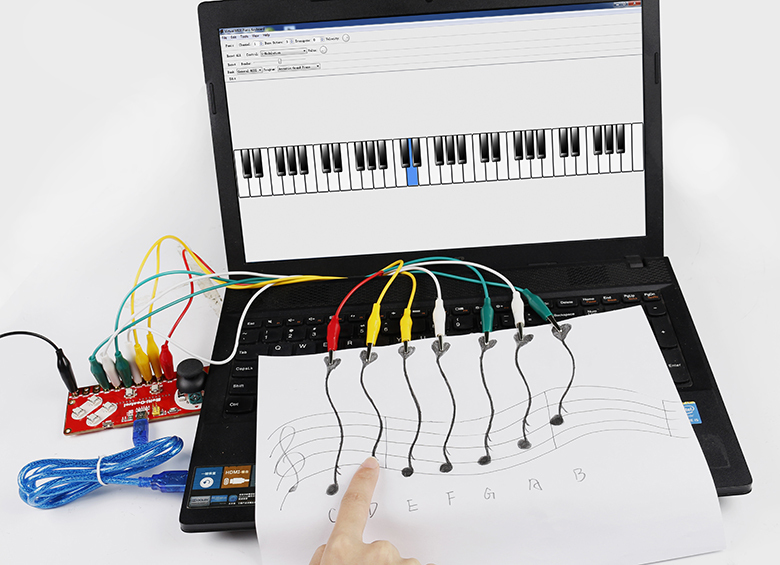 With a Multi-Control board at hand, let’s make our own piano. Any conductors can be used as keys for the piano. Here we make a pretty pencil drawing piano. 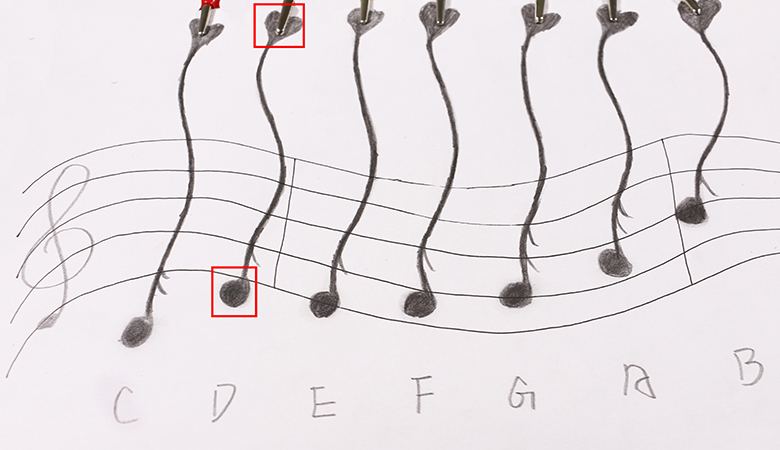 Draw the musical stave and notation on a blank paper, drew stave with gel pen and seven notes with pencil, and mark them with C, D, E, F, G, A, and B separately. Note: you must use a pencil or fountain pen to draw to ensure good conductivity lines, or it may fail to work. You can add more notes if you like. To ensure good conductivity, retrace the drawing lines especially the alligator clipping parts and the touching parts. Then extend the GND of Multi-Control with an alligator clip cable. Click HERE to download the library. 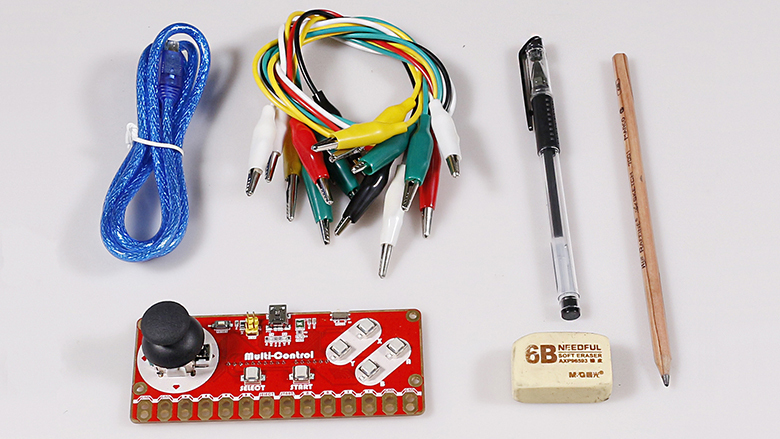 Click Sketch -> Include Library -> Add .ZIP Library, then include the download library, including Joystick and MIDIUSB. Unzip the download package. 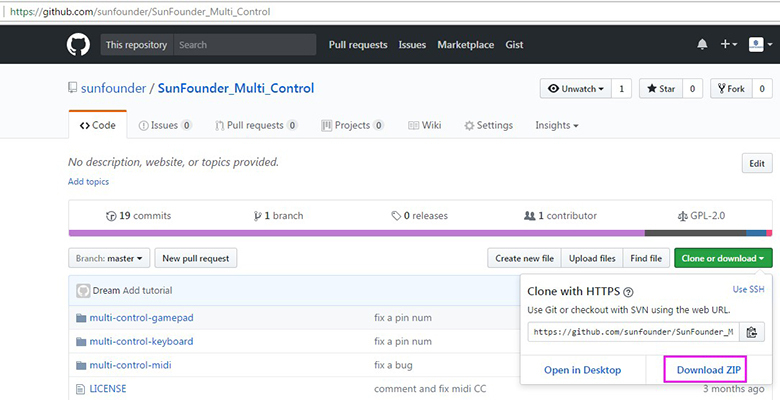 Open multi-control-midi.ino. Then select the board type (Leonardo) and port, and upload the code. Open a MIDI software and complete the initial setting. Then hold the GND and touch a note, if a pressed key is shown on the MIDI, it means this note conducts. 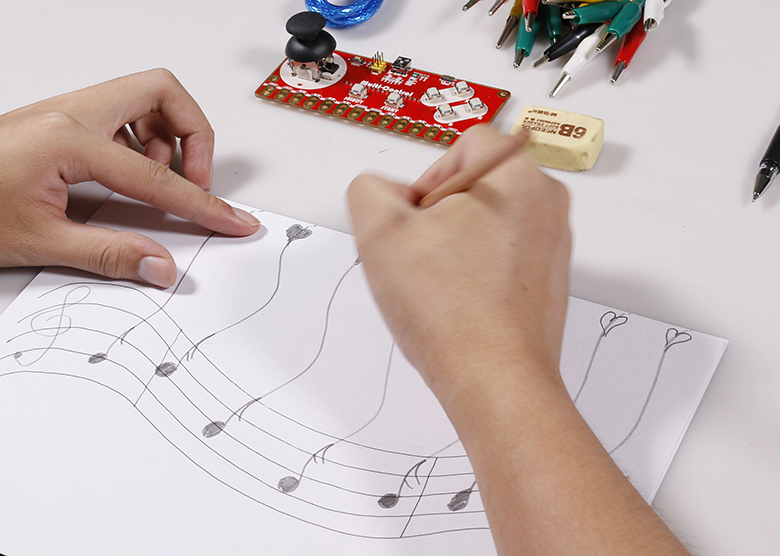 Since conductivity varies among different objects, which may affect the touch sensitivity, so set a proper value of touch sensitivity for the pencil drawing. The bigger MINTOUCH value set, the more sensitive it will be. Step 6: Enjoy Your Hand-drawing Piano! 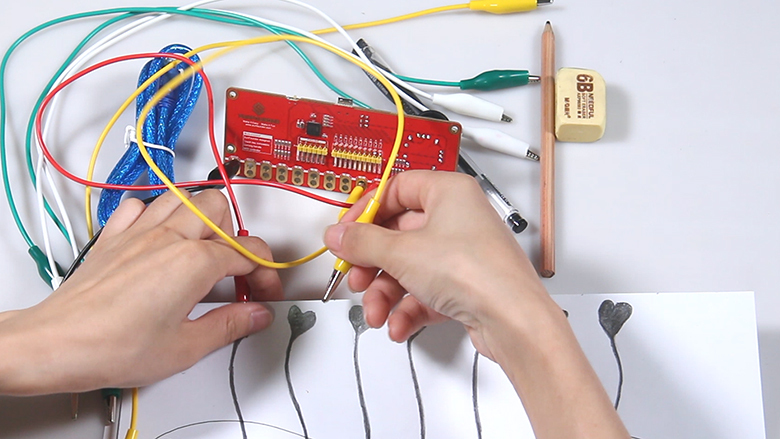 Now, you get a DIY touch piano! Time to play piano! Have fun!